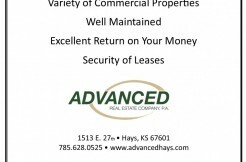 Advanced Real Estate Company, P.A. welcomes you to our site where everything we touch turns to SOLD! We pride ourselves on serving your real estate needs. If you’re selling, we’ll take the necessary steps to market your property to its best advantage. If you’re purchasing, we’ll help you find the right property. With us your needs and expectations come first. Whether you’re going across town or across the country we want to make your move as pleasant as possible.